My kitchen is a new, builder-grade kitchen. It looks fine, and functions well, but I’m dreaming of painted cabinetry, light marble countertops, a beautiful vent hood & range, and windows or shelves instead of upper cabinets. You know, something like you’d do at The Lettered Cottage! Please “pick my presto” so I can convince my husband that we can make this kitchen a lot more “us”. It’s hard to justify changing things out unless we have a better visual of the possibilities. So this weekend, I put pen to paper mouse to pad, and used Photoshop CS5 to create some inspiration photos for her. Move your cursor on and off of the picture below to see the first one in presto change-o action! …and put ’em all together to create the inspiration photo above. 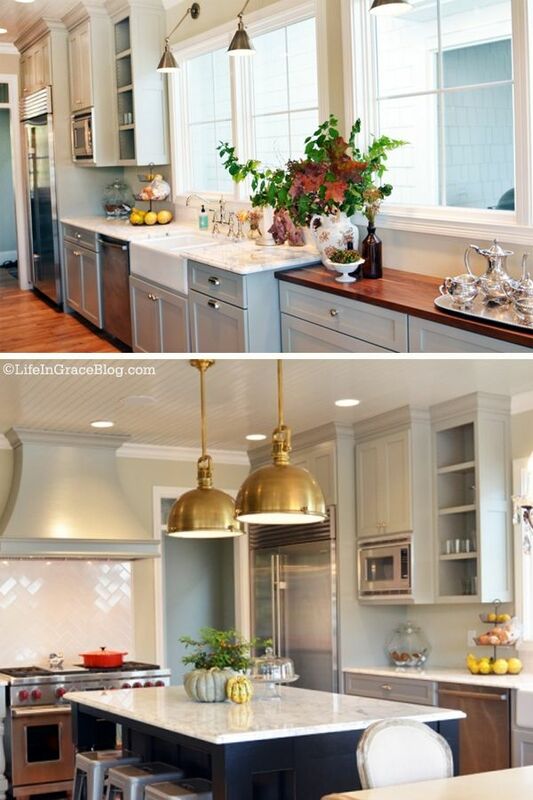 She does have antique brass pendants over her island though! Aren’t they incredible?! Anywho, I had a blast putting those photo drawings together (I’m a fool for Photoshop! ), and Cindy, if you’re reading: I hope you found an inspiring element or two that you can use! And, don’t forget, shelves and high windows on either side of your range would look fabulous too! Either way, we’d love to see what you guys end up doing with the space, so please keep in touch! Would you like to submit a photo for our Pick My Presto series? Send an email to PickMyPresto [at] aol [dot] com titled, “Living Room“. (Replace the words Living Room with whatever type of room you’re actually submitting.) In the body of the email, include your name, your blog name (if you have one) your design likes & dislikes, and one photo of the space in question. (No links please.) It should be clear, and measure at least 400 pixels high x 600 pixels wide. (In other words: at least 4″high x 6″ wide) The bigger the better though! Make sure it’s a photo you’re comfortable with me showing and writing about on our blog. Then, whenever I’m feelin’ the urge, I’ll randomly select someone’s email and creating some presto change-o style inspiration. Oh, and since I love surprises, I probably won’t email you to let you know I’ve “picked your presto” unless I have a specific question for ya about your space. PS- Hubby plug alert! ShootFlyShoot.com is up and running, so if you’re looking for help learning how to use your DSLR, click on the banner below! Love your “picks”! You’re so talented and have an amazing “vision” for the space. Wishing you a really blessed week. Off to your hubs site! Wow, what a transformation. So bright and beautiful! Great changes, Layla. 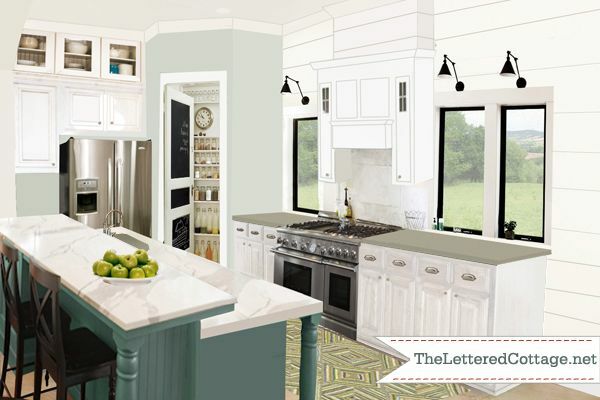 Amazing how just the color change makes it look like an entirely different kitchen! It would be hard for me to choose! Do you do Pic my Presto for outside transformations, as well? We need to either repaint or re-side our house and I’d love to do something besides the board and batten that’s there. I need to be thrifty, tho. I, too, am looking for someone who does exterior transformations! We have a brick ranch we want to paint, add a covered porch, and the entire front (and back) yard needs new hardscape and then landscape. Layla, if you don’t do them maybe you know of someone who does? I’d love to see your ranch! 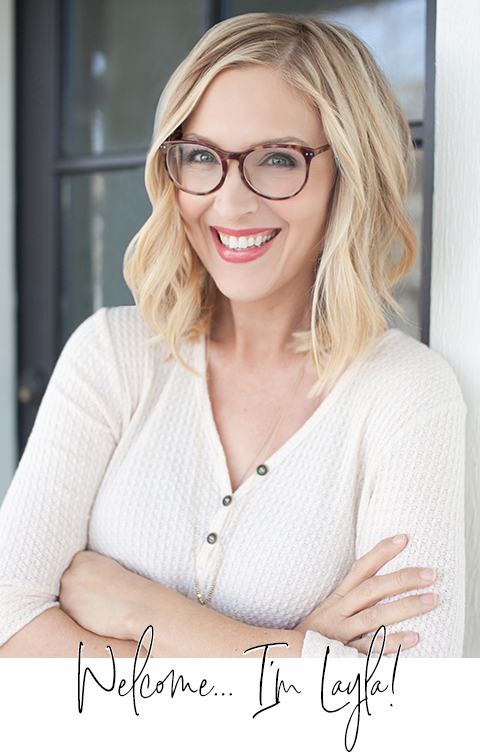 I just checked out that link and you did an amazing transformation on that house – even if it IS board and batten! 🙂 It’s an entirely different style – so contemporary. I loved your idea, there. I think I can work from that, actually! You are ridiculously talented Layla! I love the white kitchen and how you showed the dark and white vs. just the white. The dark and white actually looks very good! Visual pics are so great to have and I bet she is jumping over the moon right now that you presto’d her kitchen. Awesome job! How do you make that little thingy on your pictures where you watermark? I know how to make the rectangle in picnik but I can’t seem to jazz it up . Oooo, I’m so excited to see that today’s post is a “Pick my Presto”…they are so much fun! I love what you did with her kitchen — custom white painted cabinets & marble counters are my dreeeeaaammm.. Also I love that you went beyond what is already there & added the windows. Layla, Your color choices are always the best. They are happy and restful. I’m always checking in looking for inspiration from you! Thankful for your posts. Love it so much! You rock. I would love to see it without the addition of the windows, too — what might it look like if she just keeps — but lightens — the existing upper cabinetry? I live in Austin too and have the exact same cabinets! This is so inspiring. I’m bookmarking this to show my husband! OH so delightful…have to say the very first makeover is my fave!!! Love LOVE the colors and brightness…your good Layla your good:)!!! So nice to see how a mix of surfaces and colors can all work together! Gotta love some photoshop too. Absolutely love love what you’ve done — the styles are fantastic. They’re my dream kitchens to be sure. But, BUT– if I were Cindy, I’d leave those dark, new, beautiful cabinets alone. I believe in painting wood, but not new beautiful wood. To me, it’s just plain wasteful. I love Cindy’s dark wood cabs, too! 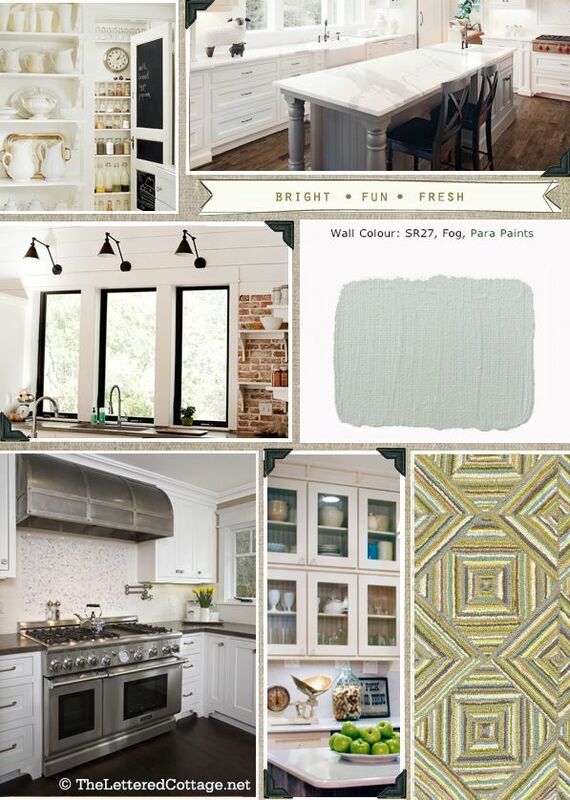 😀 I am a fan of painted cabinets too though, and I just can’t wait to see what Cindy and her family decides is the right fit for them and their kitchen! Fun stuff! So clever! 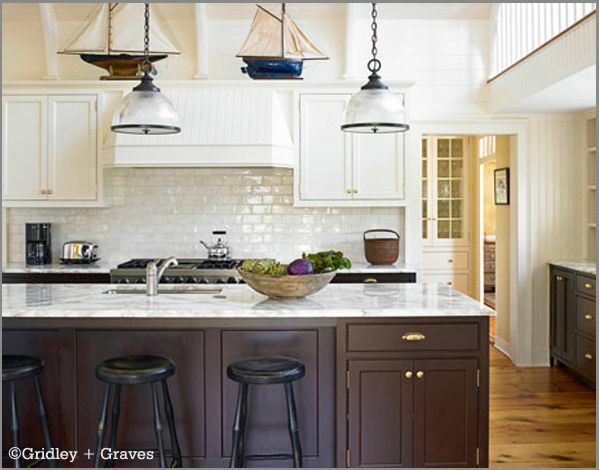 Not that you’re asking – but I love the dark cabinets with the white wall and gray island. Classy – love the chalkboard pantry door – I feel a painting session comin’ on!! Thanks for all your great ideas. I love those dark cabs too, Tracie! 😉 Have fun painting! Fabulous post Layla! I love all of these options, great job!!! Thank you, Rosa! 😀 Hope you have a great week! 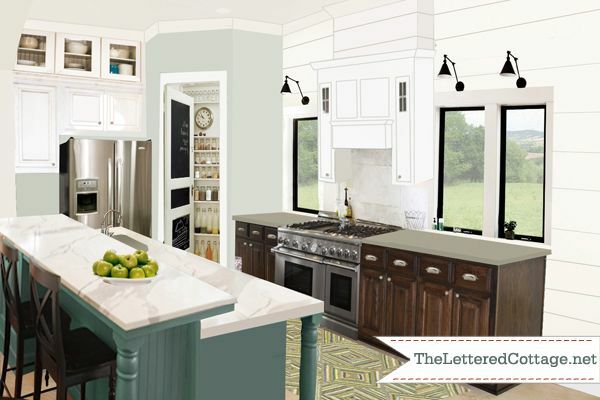 I love each of the kitchen options…you are so talented, Layla! Thank you, Kim! 😀 I enjoy working on presto change-o’s so much! I just love your Pick My Presto!! We have to paint the outside of our house, and we are debating whether to keep it grey or to paint it another color, like green or blue or white! Do you use a software to try things out or do you photoshop them? OR you could just always try it for me. ; ) Hehe! Oh my gosh, it’s ADORABLE!!!!!!! = ) Aww, thanks! I love my farmhouse. It’s got a long way to go, but it’s home! It’s lovely, but there are virtually no upper cabinets left. Hope they live a minimalist lifestyle! SO many great ideas! I love the… well, pretty much everything! 🙂 I have a few brass accents in my house and picked up a sweet vintage brass (or what looks like brass, anyway) magazine rack at a flea market the other day. Fun stuff! I love what you have created in all your options. You are very talented. I wish I had your vision! I always love stopping by and seeing your “Pick My Prestos”. Keep em coming! Layla, while I think those photos that you did are beautiful, I am totally cringing at the thought of someone taking that beautiful, brand new kitchen and demoing it. Your decorating skills are fabulous! And I am SO excited about the photography class. I have purchased 101 but am moving this week so will be starting it sometime at the end of the month. So awesome! You are radness, pure and simple. Layla, you’re so fantastic at this that I just can’t believe it!!!! I wish you lived in India. I’d probably have you over at my house for help ALL THE TIME. So gorgeous! I would have a hard time picking just one, but I love the painted island options the best. you are a creative and talented, talented lady! Thanks for putting together some ideas that keep wooden cabinets in the mix… great food for thought, and a nice compliment to a lot of the ideas I’ve seen floating around (which seem to want me to paint everything without question). Always enjoy your posts! Beautiful inspirations! 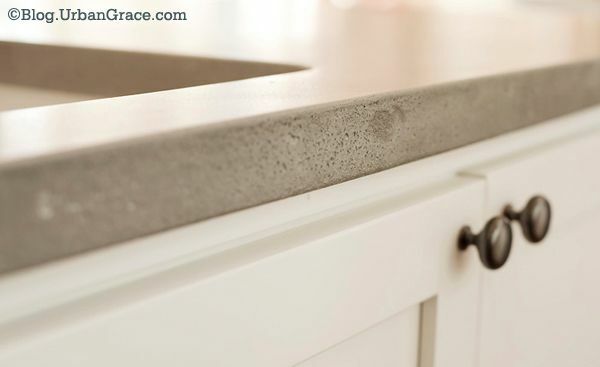 I am a bit sad to see that dark countertops seem to be falling out of favor. I love my white cabintets and dark counters, which are 10 years old. 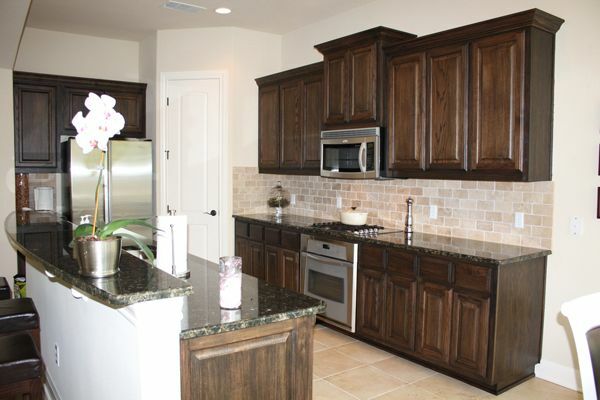 It is hard to think of granite going out of style and being sent to landfills. Not to mention the cost! WOW! And I’m rarely wow’d anymore. But WOW. Just WOW!!! Love the window additions and those lights!! I could go on and on… beautiful job Layla! I love what you did with this Layla but I do hope that whatever Cindy decides to do, she finds a good home for whatever she decides to get rid of. Love the window wall from urban grace. You always find the best sources online for these Prestos. 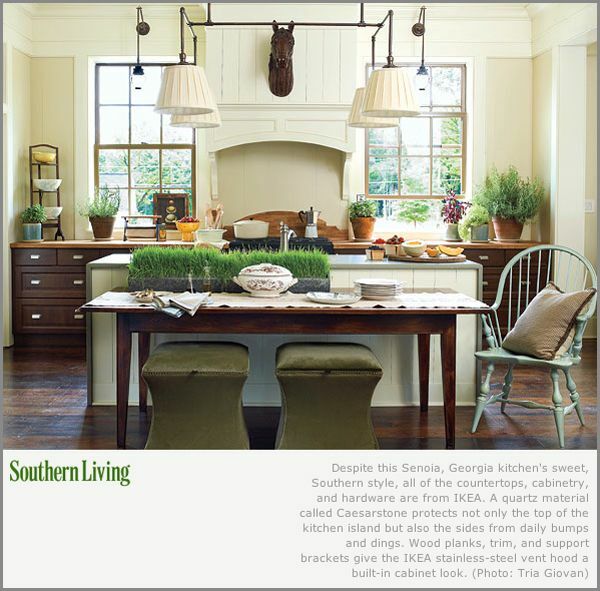 Nothing against Cindy, but the original kitchen is beautiful. Don’t fix something that isn’t broken. I love your ideas, but if I had a kitchen as nice as this original I wouldn’t want for anything! oh yeah.. loved all of that.. Nothing better than sitting here in my pjs.. getting ready to turn in.. and seeing visions of beautiful kitchens bouncing around in my head.. 🙂 Such fun! Wow! Love all you did and all of the options! You’re amazing! I would be utterly depressed with all that dark wood. Paint away I say!! 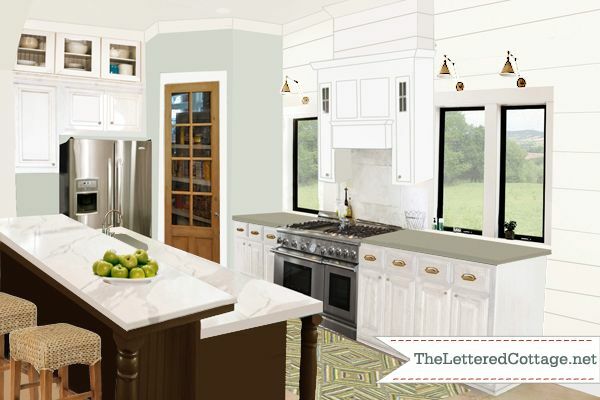 I love, love, love all of your options (and now I have a bunch of new kitchens to pin too!). Where are the brass pendants from? Not the ones with the man in the picture. The other ones.